We didn’t have to search far for the distinctive essence of our next Mad Scientists Series release. This beer, a Belgian golden ale with German hops, was brewed with an exotic herb that grows right on on our rooftop: shiso. Despite its Eastern orientation in regards to cuisine, shiso is hardily adaptable to many climates, and re-seeds itself (prolifically) every year. With a sharp, minty nose and peppery bite, the broad, serrated leaves seemed just right for mingling in a crisp, summer ale. The inspiration for the beer began when one single shiso plant from last year (which we’d exploited in numerous lunches) multiplied throughout the rooftop this spring. As it turned out, the same thing happened to our friends at Brooklyn Grange rooftop farm — and they had a bumper crop of an herb that no one seemed to want to buy. By the time late summer arrived, both rooftops were crawling with the wonderfully perfumed shiso, and something had to be done. The Mad Scientists explored the concept by steeping shiso leaves in an alcohol tincture, to add to beer after fermentation. Ultimately, even more fresh shiso was added to finish the beer much in the manner of a dry-hop at the end. 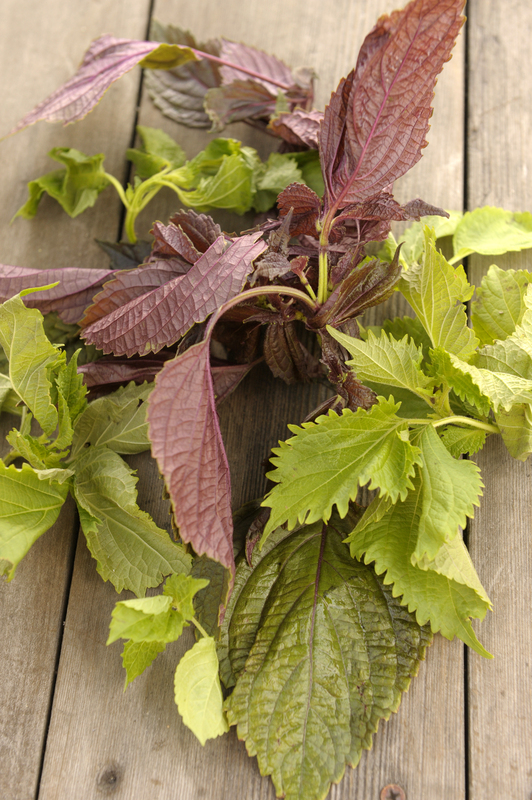 Incidentally, like hops, shiso has been attributed to antibacterial properties, along with a host of medicinal benefits that have made it an everyday spice in the East. As a natural preservative, it is a key ingredient in umeboshi pickled plums, and is often served with sashimi. Upon first taste of Mad Scientists #5 you might not detect the distinctive herb. The flavor is tart, with a nice dose of honey and wheat, and its nose reminds of green apple, with a strong herbal note and slight hint of booze. But, when it finishes, “German hops kick in and mingle perfectly with the shiso,” said headbrewer Ian. Find it at bars starting this week!